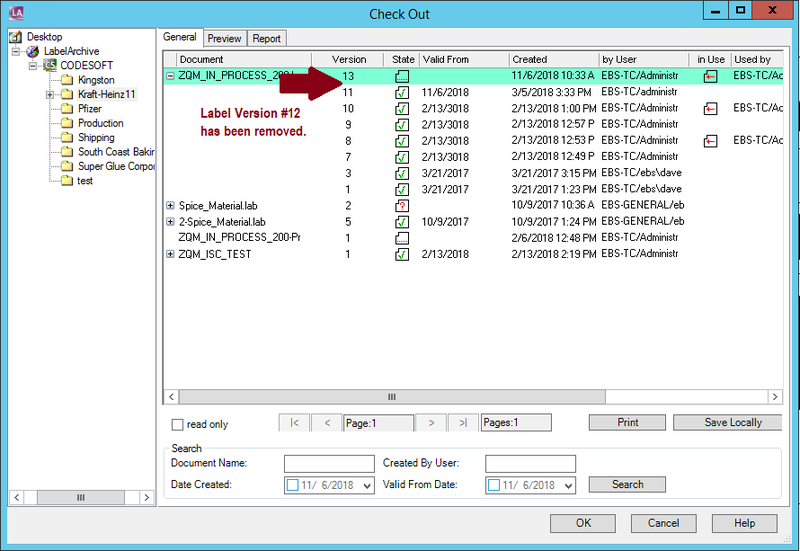 This Instruction Article explains how to skip a label version for LABEL ARCHIVE or TEKLYNX CENTRAL. This is helpful when you want to increment the the label version to match other documentation such as product version or version assigned to an engineering drawing. Open CODESOFT (aka Label Designer), click on Check out, select the last approved label version (e.g. v11 below), and OK to check it out. Note in the picture above, v12 is now missing or skipped. All changes are being made in v13. The last approved version (the one used for active printing) is still v11.